Bollywood Star Katrina Kaif and Ranbir Kapoor spotted at a Diwali Party in this year 2012. 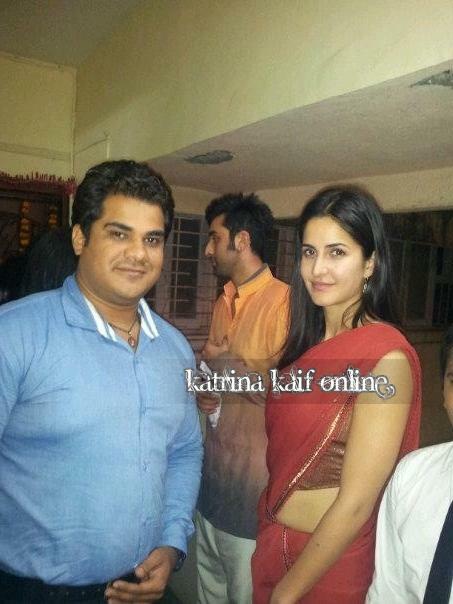 Katrina Kaif spotted in red color saree. This stars Katrina & Ranbir Saying they are best friend and they are not dating each other. Ranbir Kapoor is one of finest actors of Bollywood, media also call him a Method actor. He has acted in 11 Hindi movies, received five Filmfare awards including 2 Best actor awards. He is well known for different filmmaking, he never did an over action and drama movies in his career or chooses subjective movies like Wake Up Sid (2009), Barfi (2012), Saawariya (2007) etc.